(Altona) Walnut Grove High School "Vikings"
Altona (population 570) is a village located in upper-western Illinois in the north-central portion of Knox County. The main roadway leading to and from town is U.S. Route 34. The town sits along the Burlington Northern-Santa Fe railroad tracks, which was a prime factor in the village's early growth. Altona is situated about 15 miles northeast of Galesburg. The history of education in Altona is long and storied. The following information is found in a document at the Ransom Library. It has been summarized as follows. The first school buioding in the town of Altona was built in 1863. The school housed grades 1-8 and supported a three-year high school course. The first graduating class of Altona High School was the class of 1874. The class consisted of three graduates, Emmerson Shade, Nellie Colburn, and Fannie Hillerby. The three-year Altona High School continued through 1915, with the largest classes to graduate consisting of eleven students. A four-year high school course of study began in 1916. Being newly established, there were no graduates that particular year. 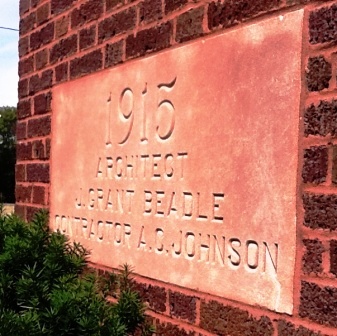 A new brick school building was built in 1916 to accommodate the new agenda. It was also voted at that time to become a school for the entire township in which Altona was located. The name of the new high school district would become the Walnut Grove Township High School District. 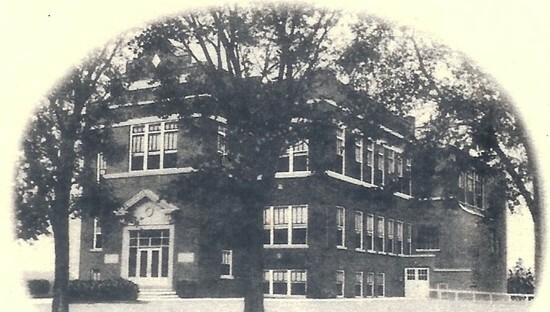 A new grade school building for the district was erected in 1917. The grade school was named after its biggest donor, Mary Riner Kufus. Walnut Grove Township High School would flourish for several years to come. Classes of 25 students in 1931 and 23 students in 1937 were the school's biggest in enrollment. 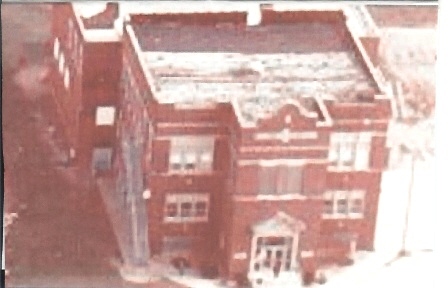 In 1931, the school added a gymnasium to the grounds. The district established a bus system in 1946. Talks began in 1945 regarding the potential consolidation of several school districts in Knox County. Ultimately the suggestion was made to consolidate the high schools of Rio, Oneida, Victoria, and Altona. After a couple of years of planning the school boards of the four school districts put the suggestion on a ballot for the voters to decide. The vote was held in the spring of 1948. All districts agreed to establish one combined school district to be effective beginning with the 1948-49 school year. The Altona Walnut Grove High School class of 1948 would be the last to graduate from the school. "Altona High School (Walnut Grove Township High School) building is no longer utilized as a school. The ROWVA district is consolidating all its facilities to Oneida, building a new elementary school in the process. Very sad since the Altona building is in excellent repair." Altona Walnut Grove Township High School "Quick Facts"
Altona School Inscription "TOWNSHIP HIGH SCHOOL"
School Fight Song: "Altona High School Fight Song"
Through most of the 1930's and 1940's, Basketball was the premier sports at Altona Walnut Grove Township High School, like other high schools in it's day The Vikings won five district championships in ten years, including three years in a row. The following excerpt is copied word for word from an article found in the Ransom Library. As you will read, the Altona Walnut Grove High School boys could play with anybody! "Altona had for years been known for a fine basketball team. The 1943-44 and 1944-45 basketball teams were two of the finest in the history of Altona High School sports. The 1943-44 team compiled a 26-3 won/lost record. The team won the District Tourney and defeated Galesburg Corpus Christi and Monmouth high schools in the Regional Tournament before losing to a Champaign-bound Galesburg High team in the Championship game. The 1944-45 team compiled a 23-6 record, won the District Tourney, and defeated Victoria and Galesburg Corpus Christi in the Regional Tourney before losing to state-ranked Galesburg High School in the championship game. The 1942-43 team had a fine 18-5 record and also won the District Championship before losing to Princeville in the Galesburg Regional. The coach of most of the fine teams in the 1930's and 1940's was Jack Kelly. 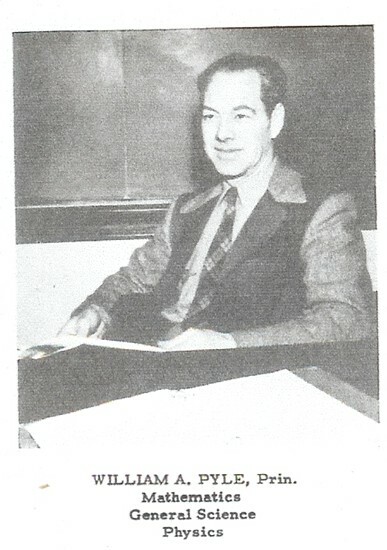 Wallace Davis coached the 1944-45 team." A January 10, 1930 game pitting Altona and Toulon went into two overtimes because the defenses of the teams were both very impressive. The final score? Altona 5 - Toulon 4. The nine points scored in the game is ranked 15th in fewest points scored in a game in the state of Illinois. "Altona High School was located on Route 34 in Altona. It was originally called Walnut Grove Township High School. 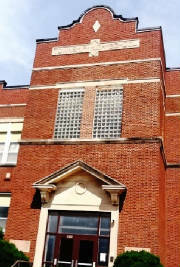 It was built in 1916 and a 3 story addition, consisting of a gym and additional classrooms, was added in 1931. The 1948 Class was the last to graduate there. After that, it was consolidated with Rio, Oneida, and Victoria, and called ROVA, located in Oneida, IL. Later, Wataga joined them and the name changed to ROWVA. The Altona school building now houses 5th and 6th graders of the district and is known as ROWVA East, so it is still being put to good use. 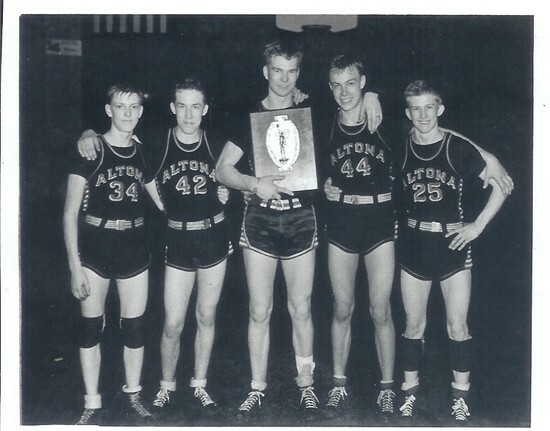 Altona was known for their athletics, winning many awards, especially in basketball. Team colors were maroon and white and the team was called the "Vikings". Football was not common in small schools, - it was mostly basketball, baseball, and track. We also had a well rounded schedule of classes available, such as English, Math, Physics, General Science, Biology, Commercial subjects, (Typing, Shorthand, Bookkeeping) Social Studies, etc and also Band and Chorus. We had F.F.A. and F.H.A. (Future Farmers and Future Homemakers of America) which previously were called "Ag" and "Home Ec". A "hot cup lunch" (soup) was started as a project of the F.H.A. girls. They prepared and served the lunch and washed the dishes. We never had the lunch program of today. Sometime during the 1946-47 school year, if memory serves me right, our first school bus was purchased and used for the two routes, one going east and south, the other, west and north. Students had study halll time either an hour before classes started, or after school, depending on your route. Later a second bus was purchased and that made for a much better schedule! We were blessed with very good teachers and a Principal that was very well liked and respected, even though the kids could not pull stunts on him! He was always ahead of the game! Invariably, stories of those "ruined pranks" makes for entertainment at our Alumni Banquets which are still held every year in May. He also kept in touch with all past teachers, so if we ever wanted an address for one, we could contact him and obtain it. The Banquet attendance has dropped now due to our ages, but until a few years ago, we averaged around 100.